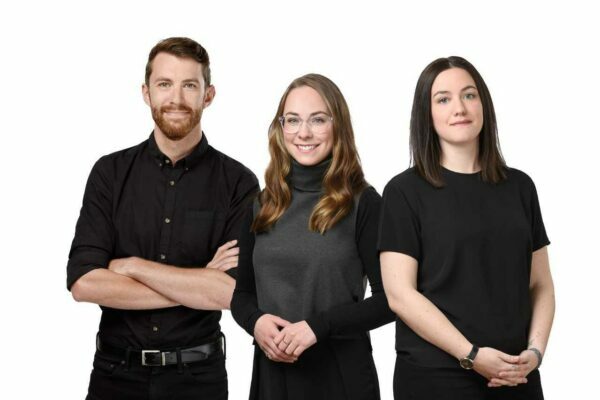 Earlier this month, two of FBM’s Intern Architects, Nataleah Irvine and Kaitlyn Labrecque had the pleasure of sitting on an Intern Architect panel during the Dalhousie School of Architecture Professional Practice Week. At this time, they were able to represent the Firm and answer questions from students who were wondering about the journey to become an architect. The most frequently asked questions related to documenting hours of experience, roles in the office, and logistics of working outside the province. Nataleah and Kaitlyn, along with Matt Davis, are FBM’s Intern Architects. We thought that Nataleah and Kaitlyn’s recent panel discussion would be a good time for them to share some information on what it means to be an “Intern Architect”. Essentially this position means, “non-licensed-architect”. You may think, upon graduation, architecture students automatically become architects, but that is not the case. First, one needs to complete a Master of Architecture degree from a university program approved by the Canadian Architectural Certification Board (CACB). The next step is gaining experience through an apprenticeship/ residency program called, The Internship in Architect Program. This program is offered through the associations of architects in each province. If you are accepted into the program, you will require a “Mentor” (a licensed Architect) who will guide your work over a period of time, according to the rules of the Internship in Architecture Program. Usually, Intern Architects complete the program in about three to four years. In all provinces, passing the national exam (ExAC) is one of the final steps in becoming a licensed Architect. The entire process of school, experience, and licensure takes on average 10 years. We are exceptionally proud to have Matt, Kaitlyn and Nataleah with us at FBM. Their energy, dedication and passion for the industry is evident in each project they take on. For more information please visit the RAIC website.